I don't know if "Steelbook Treatment" is the riiiiiiiight place to put this thread/ question up- but I figured that it would be applicable considering it is the literal treatment of Steelbooks that I am talking about. 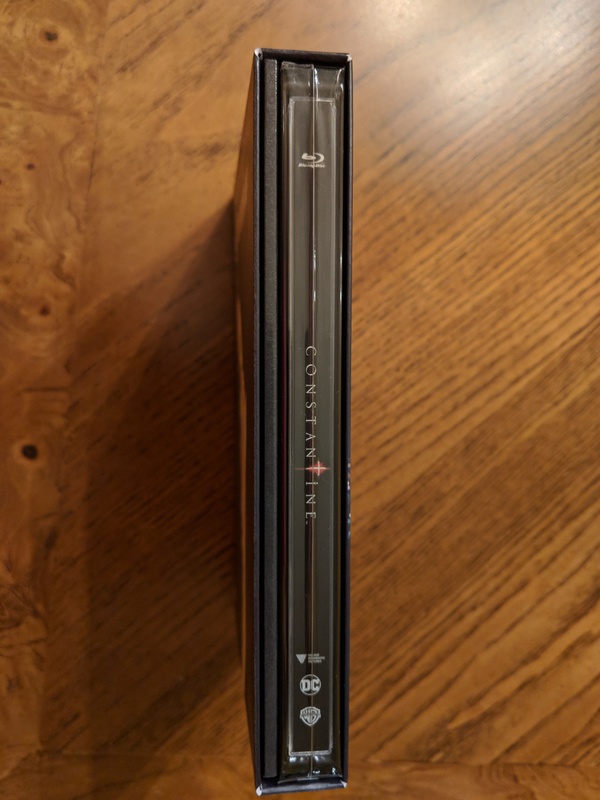 I don't know about you- but I've noticed that my steelbooks tend to get tiny- superficial scratches whenever I slide them in and out of full or lenticular slips, ESPECIALLY steelbooks that come with Full Gloss treatments. 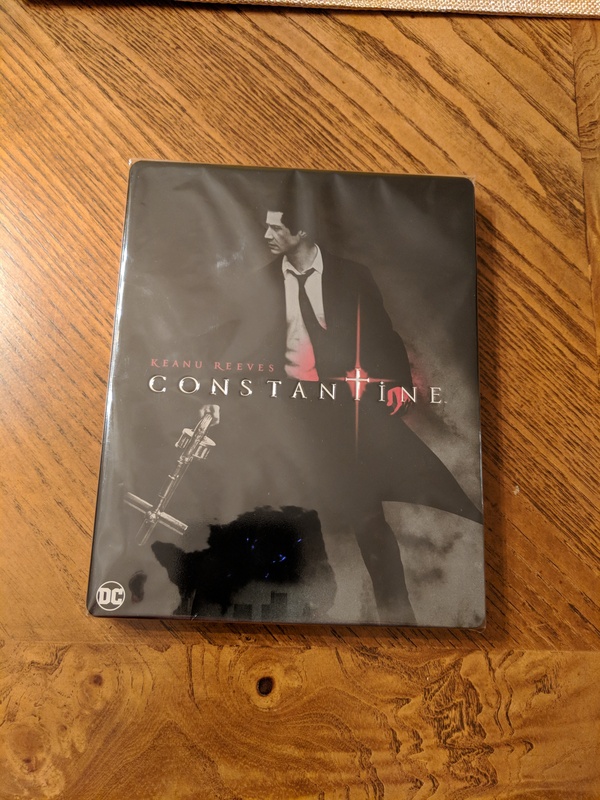 MantaLabs Constantine is an example where the steelbook's gloss treatment seems to constantly take wear and tear every time I remove the steelbook from the sleeve. 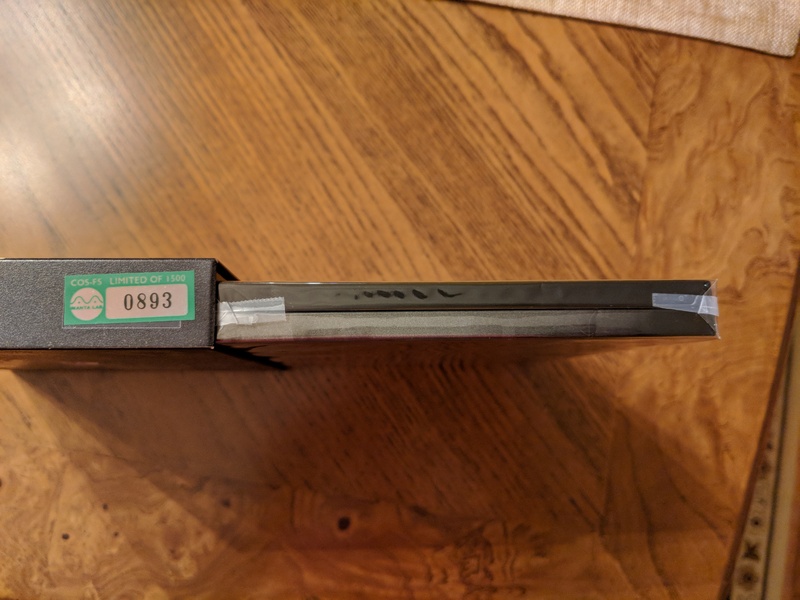 Steelbooks that I own such as BluFans the Jungle Book that have a large amount of embossing and debossing seem to fair better since less of the surface area of the steel is directly rubbing against the slip when it slides in to the fullslip. I've resorted to buying extra copies of Mondo's Terminator 2 1997 Edition Steelbook - since it comes with a relatively blank slipcover that I can use to cover steelbooks before I place them in slips. 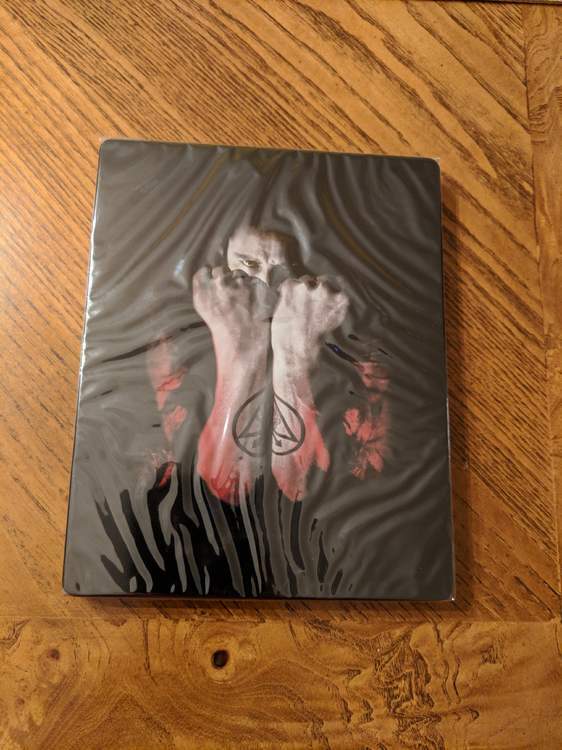 But this has been costly and has not only led me to purchasing MANY of Mondo's T2 Steelbooks, but also giving these loose Steelbooks to every single one of my friends. Has anyone found a solution to this issue? Or does anyone know where I can get some of these slips like the ones for the T2 Mondo Steelbook without having to purchase completely new steelbooks EVERY SINGLE time? @FN-2187 Hey there man. I have noticed this and it bothers me a lot. I first noticed this on kimchi's the pianist a few years back when it was released. I was super ocd mint back then and boy did this freak me out. I am a big advocate of opening my steelbooks so these hairline, micro scratches were unacceptable. 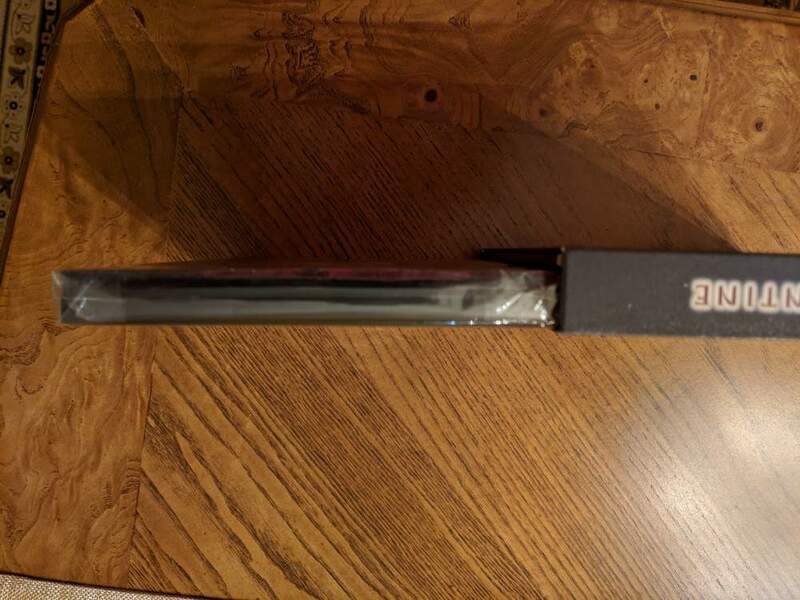 It happens from the booklets that the steelbook is sliding against. I have a solution for you. But this solution is kind of tedious, especially if you open your steelbooks in slips to use the disk. So I use very tight fitting poly bags from a website I found. I trim the top part of the poly bag so it folds over really nice. The bags have the adhesive so they close. I then tape the bottom with a tiny bit of tape. It makes it so that the steelbook is almost factory sealed. I'll post a few pics for you. Hopefully this helps you. The bags are very tight against the steelbook that sometimes they rip when you take the steel out. Or its a hassle to get back into the bag. You definitely need some patience doing it this way. But no more hairline marks!!!! The bag is wrinkled in the 2nd because that's where the booklet rests. The 4th pic is showing where the poly bag is cut and folds over. If you'd like to know the place where I got the bags, I'd be happy to find it again for you. Cut a piece of paper or heavier art paper to the same size of the steelbook. Slide it in and out with the Steelbook. If you want to go a step further go to an art store and buy cotton art paper or acid free mat boards and cut to size. Stupid thought and simple solution. Small roll of clean film or shrink wrap with the handle. Wrap around Steelbook once and replace every time. Honestly, I don't tend to open many fullslip premiums because they're usually for films I have in another format already. I really don't tend to buy premiums for the steels, but more for the slips. I do know that people suggest using sleeves as @Valminuto suggests and it seems a good idea, but you would have to pull them really taught because they bunch in places. For glossy bare steels I have, I actually double bag them in a sleeve within a plastic slip; the sleeve is to protect the finish when taking in and out of the slip. Yeah the sleeves I have are a snug fit and with trimming the top flap off to just above the adhesive, sometimes I rip the bag taking them out lol. It took me a few tries to find the right length to leave, so I could easily pull them out but also to not leave too much leftover flap that it bunched up at the top of the slip. Oring and thinner full slips sometimes can bulge with a sleeve. 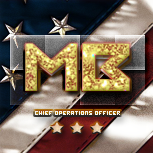 @Kingpin got me thinking about things to use too. You could try that thin foam that is sometimes wrapped around tvs, computer monitors and electronics. Perhaps cut a piece to stick between steelbook and the booklet. And @45Caliber we've definitely moved from collecting steelbooks to collecting super cool slips and not worrying about what's inside huh lol. The days of just buying barebone steels are a thing of the past (rip play.com) ? Thank you for the advice @Valminuto! I've had a few of these bags that you've mentioned- mostly coming from eBay sellers that have sent me steelbooks. But yeah- like you said- they tend to tear really easily, and they can crinkle when you place them back in to the fullslip. Before I bought protective Slipcover for my steelbooks, I had all open ones in bags (like @Valminuto) mentioned. I still use these for any Steelbook in a Full-Slip I open (not many). The ones I use are specifically made for Steelbook I bought them years ago on ebay. Works great ?